ISLAMABAD: Prime Minister's special advisor on accountability Shahzad Akbar on Friday said over 10,000 foreign properties belonging to Pakistanis have been traced. 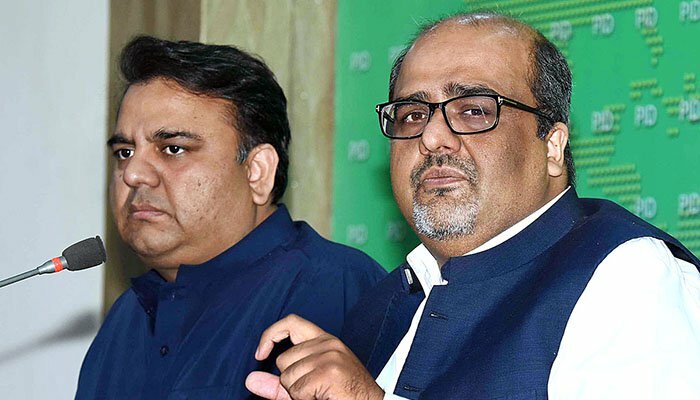 Speaking at a press conference flanked by Federal Minister for Information and Broadcasting Chaudhry Fawad Hussain, Shahzad Akbar said the Asset Recovery Unit has managed to procure details of over 10,000 assets belonging to Pakistani nationals in Dubai and United Kingdom. "Out of the total, the government has prepared a list of top 895 properties to carry further investigation while around 300 people have been served with notice and were summoned by the unit to clarify their stance. He maintained that the said properties have been bifurcated-those who are politically exposed and those who are common people. "The politically exposed people will be investigated in terms of money laundering and will be asked that how they managed to own such properties worth billions of rupees," to which, he added that people who were not politically exposed but owned such properties would also be scrutinized as they also committed crime by hiding their properties and evading huge amount of taxes. He said about half of above-mentioned properties were already known during the tenure of the previous government, but the previous government committed criminal oblivion by not taking any action against them. He informed that among these properties, two flats in London were registered in the personal name of former finance minister Ishaq Dar, and these properties were not known to anyone before. Shahzad Akbar said the majority of these properties were 'benami' assets and were registered in the name of wives, children or personal employees of the big names. He said until now, Supreme Court was alone fighting against corruption in the country but now the government was fully supporting the apex court in this regard. "We will provide a list of 300 corrupt people to Supreme Court of Pakistan for further investigation," he added. Regarding exchange of information about Swiss accounts of Pakistani nationals, the Special Assistant said the Pakistani government had officially sought information about the Swiss account from the German government who have the record of all accounts until 2013-14. "India has already procured such information from the German government and we hope that soon we will also manage to get information about Swiss accounts of the Pakistani nationals," he remarked. He said former finance minister, Ishaq Dar took initiative regarding the exchange of information with the Swiss government but it was just a show-off and in fact, he himself did not want to get information about the Swiss accounts. He said bilateral agreements with different countries with respect to the exchange of information also needed to be revised and the government was also working in this regard. The Unit, he said has also started an investigation about offshore companies in Panama and other places and the politically exposed people's companies would be specifically investigated. He said having properties or companies in Panama was not a crime itself but hiding the properties was a crime according to the law. Chaudhry Fawad Hussain said the task force was working at such a fast pace which had not be seen in the country's history of 70 years. He said the government had issued notices to 157 wealthy people who were not filing tax returns despite having huge wealth. He said the government was also issuing notices to all those public holders who misused the government resources at first stage while at the second stage, they would be forced to deposit all such money to the national kitty. "Former Chief Minister Punjab is due to pay Rs 350 million for using the Prime Minister's airplane while Senator Mushahidullah also spent Rs. 10 million for medical treatment abroad," he added.